Carbohydrates in food handbook from C.H.I.P.S. 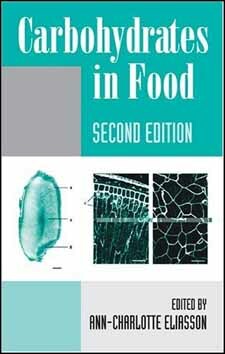 Carbohydrates in Food, Second Edition provides thorough and authoritative coverage of the chemical analysis, structure, functional properties, and nutritional relevance of monosaccharides, disaccharides, and polysaccharides used in food. Carbohydrates in Food evaluates the advantages and disadvantages of using various analytical methods, presents discussion of relevant physico-chemical topics that relate to the use of carbohydrates in food that allow familiarity with important functional aspects of carbohydrates; and includes information on relevant nutritional topics in relation to the use of carbohydrates in food.